founded in 1990 by Louis Scherr. The group has recorded two Albums on CD, toured and performed at concerts in the US, Russia, Canada and throughout Europe. Tony Also formed a co-op trio with fellow Washingtonians, pianist Louis Scherr and bassist Tommy Cecil. Together the trio has delighted audiences at concerts and festivals on four continents, including performances at the Monterey Jazz Festival and the North Seas Jazz festival. Their recording, "Warm Valley" which featured Joe Henderson, was awarded four stars in Down Beat Magazine. He is also known as a leader of his own ensembles and in 1980 released his first recording "Earth Tones" on Sound Judgement Records. Earth Tones has enjoyed praise all over the world by jazz fans and critics alike and was included in the top ten favorite recordings of 1990 by the critics of Jazz Times Magazine. In 1994, Tony's long awaited second release titled "Collage" was greeted with similar praise. Tony continues to be much in demand as a leader and as a sideman. 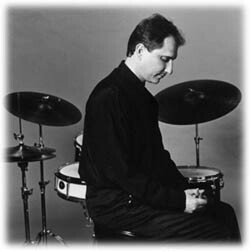 In addition to leading his own dynamic bands, Tony continues his long time associations, touring, recording, and performing in concerts with Mose Allison, Fred Hersch, Jon Metzger, Partners In Time and Glenn Wilson, as well as being a free-lance collaborator on other projects too numerous to mention here.